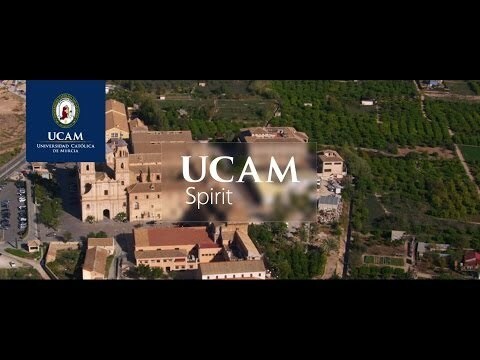 For more information about Study Abroad Program at UCAM Universidad Catolica De Murcia, please visit the webpage using the button above. Our international involvement has influenced the introduction of a Study Abroad Program, intended for those interested in an exchange from a partner university or students from non-partner universities, simply looking to pursue additional career training. At UCAM, our priority in teaching is to provide personal attention tailored to each student’s need and to empower students to develop their skills and abilities through unique program offerings. Our broad spectrum of international students has provided UCAM a better understanding of the needs of those students coming to study in Spain as part of an exchange program. Our Study Abroad programs are offered for a semester or one-year duration in subjects such as, Modern Languages, Business, Sport Sciences and Tourism Studies. All programs are taught entirely in English, but students are encouraged to gain a true cultural experience, including an understanding of the Spanish language. Therefore, UCAM also offers intensive Spanish courses and six-month Spanish programs, to allow students the opportunity to fully immerse into the culture and lifestyle of Murcia. A four-year course load at UCAM is 240 credits, while most modules are worth 3 – 6 credits. Our Study Abroad Program offers students the ability to gain valuable training in 24 – 30 credits per semester, applicable to their degree from any partner institution. Those students coming from non-partner institutions will benefit from additional education, international experience, and a unique cultural understanding; all which prove to be advantageous in today’s global workforce. You will study alongside our degree students, completing the same assignments, projects and assessments. We appreciate that this can be a daunting experience and we do our best to offer as much support as possible. We pride ourselves on the care we take in advising you at the start of the year so that the courses you choose are appropriate to your needs and present level of achievement. Contact UCAM Universidad Catolica De Murcia to find course entry requirements.